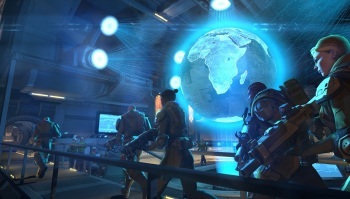 2K's new XCom shooter has been pushed back into 2013. This is starting to get a bit weird. First, 2K Games announces a reboot of the famed X-Com franchise, except not with a strategy game but with a shooter based on the series. Overall interest is a bit on the tepid side, while old-time X-Com fans go nuts over not getting a "real" sequel. Then, seemingly out of nowhere, 2K reveals that Firaxis is in fact working on an X-Com remake of its own entitled XCom: Enemy Unknown, an actual do-over of the original strategy game. No release date for that game has been set, but today it's come to light that the planned XCom shooter has been significantly delayed and instead of coming out in March of this year as expected, it will now launch sometime in 2013. Reasons for the delay weren't given but according to IGN, 2K now wants to relaunch the franchise with Enemy Unknown rather than the shooter, which at this point is still "subtitle unknown." What led to the change of heart? It's possible that all the wounded howling led 2K to decide that rebooting the franchise as a shooter was a big mistake, but I'm not convinced that giving the internet what it wants is a good idea, particularly when you're talking about bringing a 20-year-old strategy game to consoles. And if that is the case - if 2K has decided that strategy is the future - then does a shooter really fit into that plan? I wouldn't be at all surprised if further XCom-related shenanigans are in the offing.